This saw I aquired last fall from the Tacoma area. It is 66 inches in length, and never been out of the wrapper. I bought several saws and handles, all were new and unused for a couple hundred. The saw cost the oringial buyer $28 and $13.95 for the Atkins handles that was with it. Here's another 513 Royal Chinook. This one is 5.5' and Made in Canada. These are nice, thick, crescent ground blades. A little heavier, but really nice to work with for both felling and bucking. This one had a faint logo so I didn't get a good photo of it. I included a couple of detail shots as I sharpened. Those handles are Simonds Royal Chinook 395's. I just tuned up another Royal Chinook 513 and thought I would add it to the database. 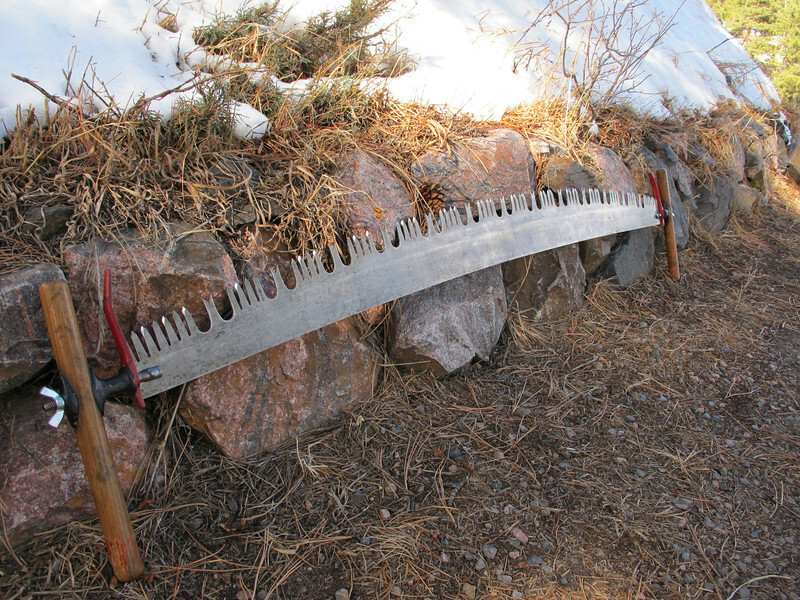 This one is a 5.5 foot saw. 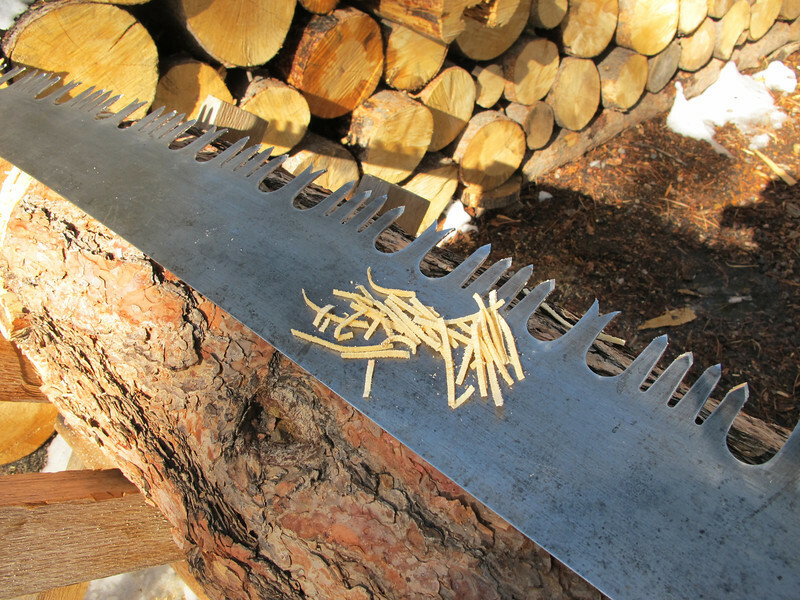 the teeth and rakers were in pretty bad condition and it took some heavy filing to get everything back in shape. Cuts really well now. I tried a slightly different shape on the cutters, going a little further down the sides, which helped even out some bad assymetrical teeth from someones previous attempt. 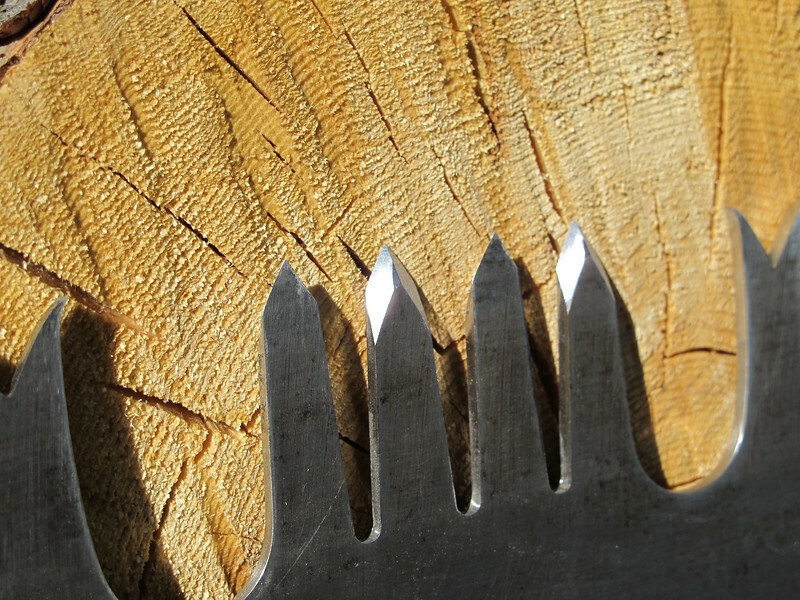 Going a little further down the tooth on these thick saws seems to make them a little easier to set since you're removing more metal. I usually set after jointing, but these thick teeth are tough. I did a few, but decided to finish the setting after they were pointed up and it was easier. I went with .010" on the raker depth. It made for some slightly thick, slightly whiskered shavings, but it cut Really fast and smooth. I was single bucking with it, and I think with 2 sawyers it will really fly. 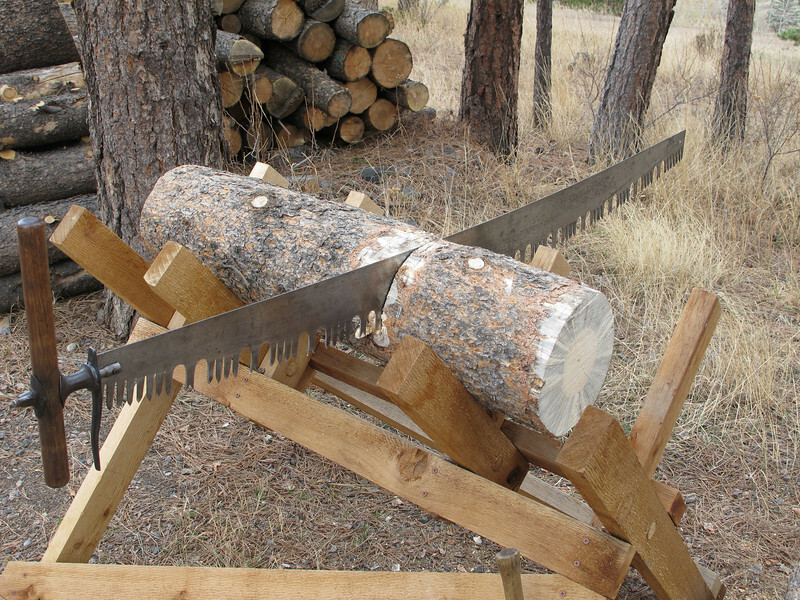 Very nice saw. 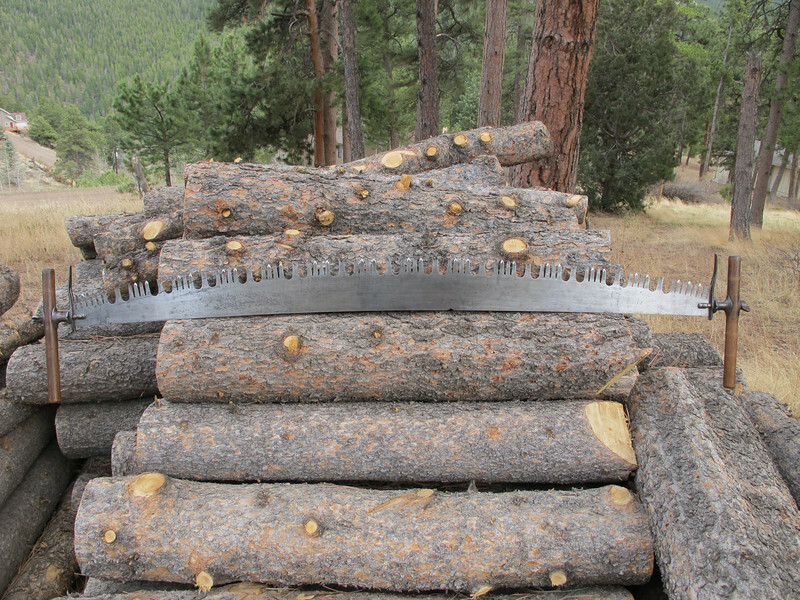 There is a reason that these were the preferred saw for heavy duty work. Jim_Thode wroteCOLON Very nice saw. 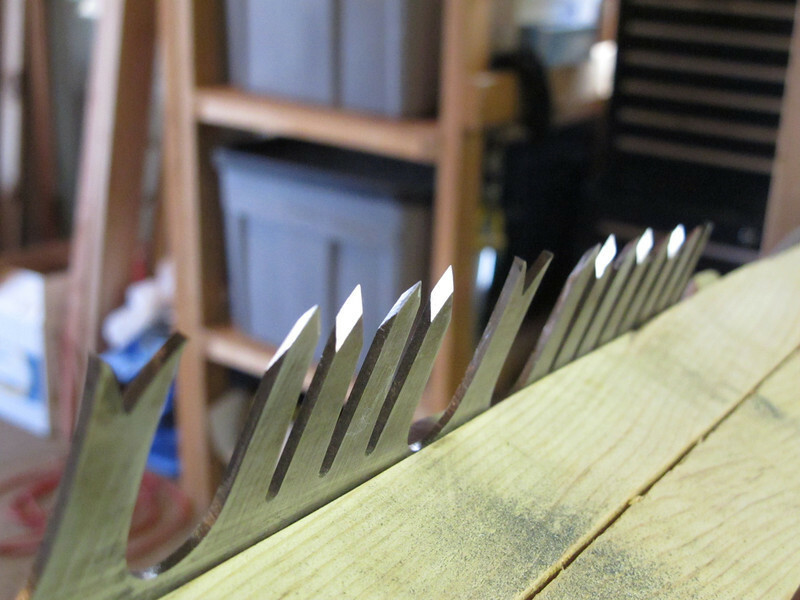 There is a reason that these were the preferred saw for heavy duty work. Thanks Jim. Yeah, these are really a pleasure to use in the field. I've got the 503, looks like I'm going to need to pick up a 513 somewhere to complete the set. 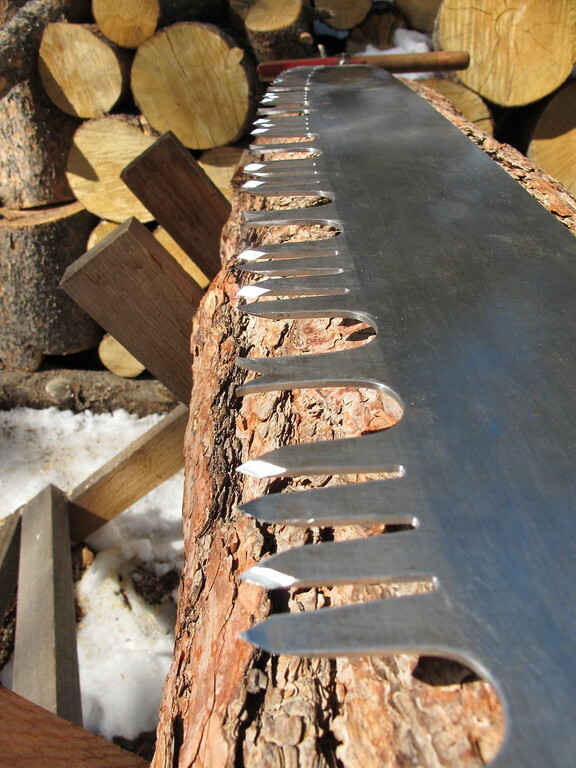 Nice looking saws. trailcrew wroteCOLON I've got the 503, looks like I'm going to need to pick up a 513 somewhere to complete the set. 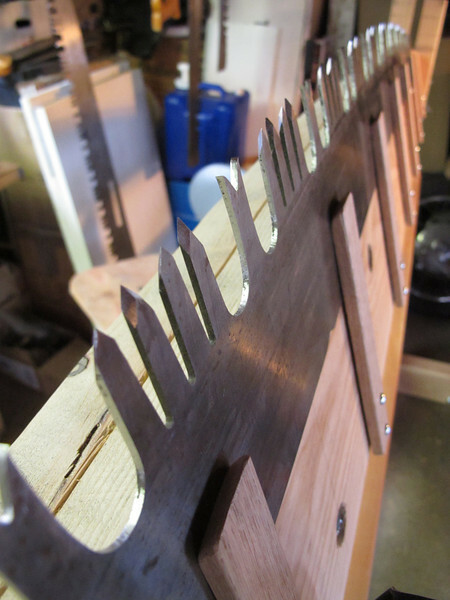 Nice looking saws. Persons making statements like "I'm going to need to pick up a _________ to complete the set" may be showing signs of a disorder related to what the chainsaw folks refer to as CAD (Chainsaw Acquisition Disorder)! As someone who is possibly afflicted, I have long suspected that there may be a related strain of this disorder - Crosscut Acquisition Disorder! 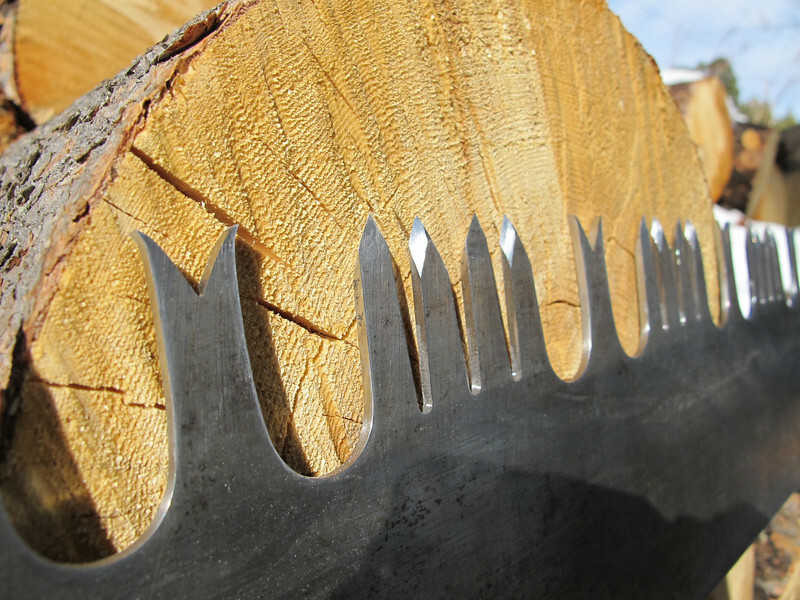 I personally do not believe that having only 35 or 40 saws qualifies..... however a friend, who now has 400+ chainsaws, disagrees - he claims that any more than 10 indicates a irreversible trend! Best of luck in your quest..... And please keep us informed of your progress!